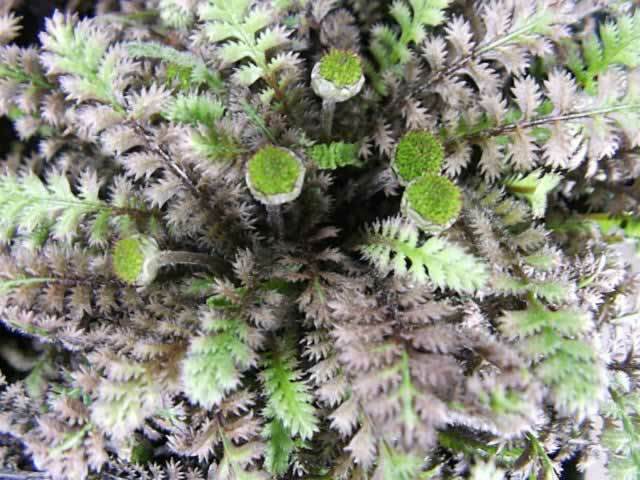 The interesting feathery, fern like foliage of the New Zealand Brass Buttons may give the impression that it is a delicate plant, but in reality, it is a tough enough ground cover that it can take light foot traffic and is even used as a lawn substitute in many areas. This mat forming plant only grows to about 2" tall but spreads out indefinitely by rhizomatous runners. The grayish green foliage turns to a beautiful bronze color in the fall. Platt’s Black is a very popular hybrid that has unusual, purplish black foliage. Small, ¼" golden yellow, button-shaped flowers appear from late spring until mid summer, followed by tiny, inconspicuous fruit. Brass Buttons is a nearly perfect, naturally spreading ground cover, as well as being great for planting between flagstone pavers and in rock walls. They are well suited for growing in planters as well. Brass Buttons plants are hardy in USDA zones 5-9, but the foliage may only be evergreen in zones 8-10. The most critical requirement for successfully growing Brass Button is sharp, well draining soil with gravel or granite grit added. They prefer slightly acidic, compost rich loamy soil. Brass Buttons plants grow and bloom best in full sun, but they will tolerate light to partial shade, particularly in climates with hot summers. They are very intolerant of drought. Water regularly and thoroughly. Don't fertilize until these plants are well established, then only feed them with half-strength, all purpose fertilizer in early spring and again in early summer. After a few years, large plants begin to develop a bald area in their centers, signaling that it is time to divide them. Brass Buttons are easily divided in spring or fall by cutting up large plants into 3"-4" plugs for transplanting. 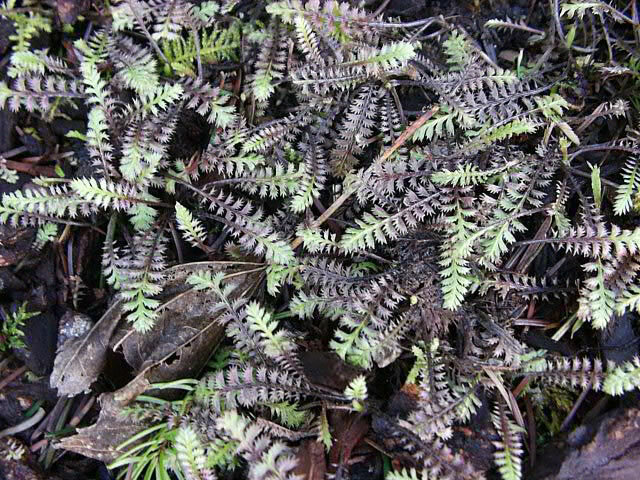 Leptinella seeds can be sown directly in the garden during late spring and summer months, up until two months before the first frosts of fall. Seeds can be started indoors, eight weeks before the last killing frost date. Maintain a soil temperature of 70° F.
Seeds will germinate within two to three weeks.